Steve Barnett joined QuadReal as Chief Operating Officer in June 2016. Steve is responsible for ensuring that all systems and processes are implemented according to the company’s strategic plan, from IT to Board table, and that the interface with BCI is effective. Prior to joining QuadReal, Steve was Chief Operating Officer with BCI where he oversees the back office and middle office functions. 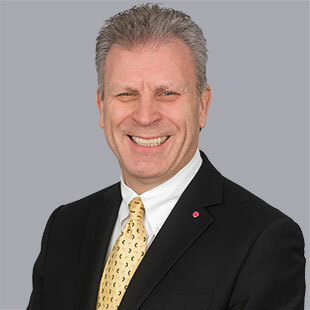 Prior to BCI, Steve held the role of Assistant Deputy Minister of Finance & Administration at the BC Ministry of Education, following his earlier role as CFO at WorkSafeBC. Steve holds a B.A. in Business from Washington State University and is a C.P.A, C.A. Steve also has successfully completed the ICD corporate directors program, and is a director on the Parkbridge Lifestyles Community Board. Steve Barnett also joined the QuadReal Board of Directors in June 2016. To Steve, it is exciting to be a part of a new company with QuadReal’s spirit and mission.